In the litter of wet native forests. 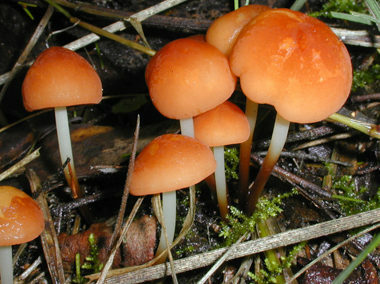 The velvety caps of this species are orange to red-brown and the gills white. 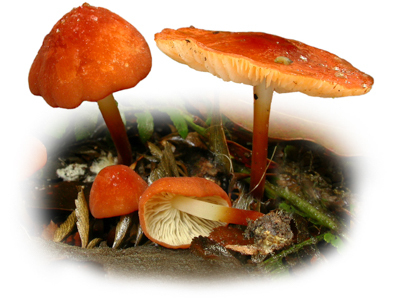 Very characteristic is the tough two-toned stem (white at the top gradually darkening to red-brown at the base). Like all Marasmius species it can revive after drying out.